Let me ask you a question and, be totally honest with me, or even better, with yourself. Are you running a successful blog? If so, kudos! I’d love to know what you categorize as successful and learn as much from you as I can. Most bloggers I encounter don’t know how to give a straight answer to this question. “We’re doing pretty well, we were mentioned on X blog last week, so I guess we’re doing fine”. “Honestly? I’m not sure, we have good content but, I can’t really tell you how many leads it brings us”. Those are just 3 examples of some of the answers I get. The truth is that, unless you set objectives and keep track of your blog’s analytics, you can’t really answer this question. Are you growing on a monthly basis? Are you producing interesting content? Are you leveraging SEO? All these questions can be answered by a simple look at your analytics dashboard. I want to share 11 of the analytics metrics I use to track my blog to guide my growth and measure success. 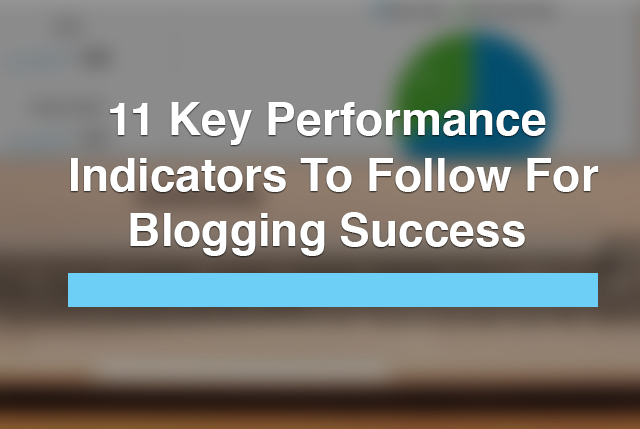 11 analytics measurements to track for blogging success. 1. Unique visitors– The first step towards a successful blog is getting traffic and new, unique visitors. 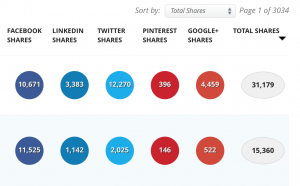 Unique visitors are the indicator of how many individuals see your content. If you’re not getting enough traffic and not enough people are coming to your blog, you need to put more work into increasing your reader acquisition and invest in promoting your content better. 2. Pages per visit – Tracking the number of pages each visitor views when they visit is an indicator of how good your blog’s content flow is and, how interested and focused your topics are. If you’re writing content that really hits your buyer’s personal needs, your number of pages per visitor should be quite high. If not, it can mean that you need to focus your topics a little more, or do a better job of inter-linking between articles (or optimize your usage of ‘related post’ like features). 3. New vs. Returning visitors – Building a strong following requires an increasing number of both new people discovering your blog, and returning visitors. Getting new users is important to keep building reach and getting new eyeballs onto your content. Getting more new visitors means you’re doing great work in promoting your blog. 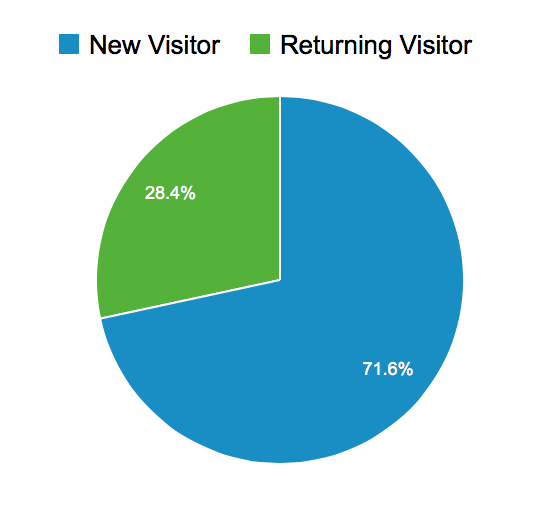 Returning visitors is an indicator of content that works well. It means people who visited your blog have enjoyed your content and keep coming back to read more. 4. Bounce Rate – Bounce is measured in one of two ways: Visitor who only view 1 page then left the site, or a visitor stayed on site for less than 10 seconds. Measuring your bounce rate is very important in terms of understanding if your content is delivering on its promise and how scannable it is. If a visitor gets to your website and automatically leaves, or doesn’t even scroll down the page, it means they did not find what they came in for.When researching your bounce rate, you should differentiate between Website and Blog bounce rate – Usually when people click a link to a blog post, they are looking for a very specific answer in a very specific format, so it’s likely you’ll get a higher bounce rate. On a website, people come to explore and learn a little more about you, so the bounce rate will probably be a little lower. 5. Visitors coming from search engines – When most people think about SEO, they are thinking about ranking high on Google. The actual importance of having great SEO is simply getting more traffic through the keywords and terms people are searching. If the traffic you’re getting for search engines is too low, then you should try to focus your content more on hitting the right keywords and terms your target audience is looking for. 6. New subscribers – For a blog, getting more subscribers is the main goal for getting readers hooked and establishing a large readership (If you’re using a blog to sell a product or an online course than this is your break for sales as well). Measuring how many new users have subscribed to your blog or newsletter is an import goal to track. Set up your conversion as a goal funnel (I use the ‘Thank you page’ as my end url goal) and start measuring how many conversions you are actually getting from your blog. 7. Popular posts / pages – To really know what content works best for you, either in terms of topics or headlines, you should keep track of the most popular content on your blog or website. These are the pages that currently attract more users. They might be an indicator for the type of content that works best for your website and you would want to create more posts around that topic. Or, simply learn what headline structure wins over your readers. Either way, you’ll know where to focus your efforts. 8. Social interactions – How good was your latest post? Well, one of the best ways to measure, is by how many people interacted with it – How many people shared it? Tweeted it? Pinned it? Gave it a + or commented on your post? These are all proof of how engaging your posts are. The more engaging, the more viral they will probably be. Learning where your social interactions were greater will also help you understand which topics or blog structures are more popular with your readers. 9. Referral traffic – Looking at your social media and search engine traffic is very important, and always keep track of where your referral traffic is coming from. Where you should place your backlinks? 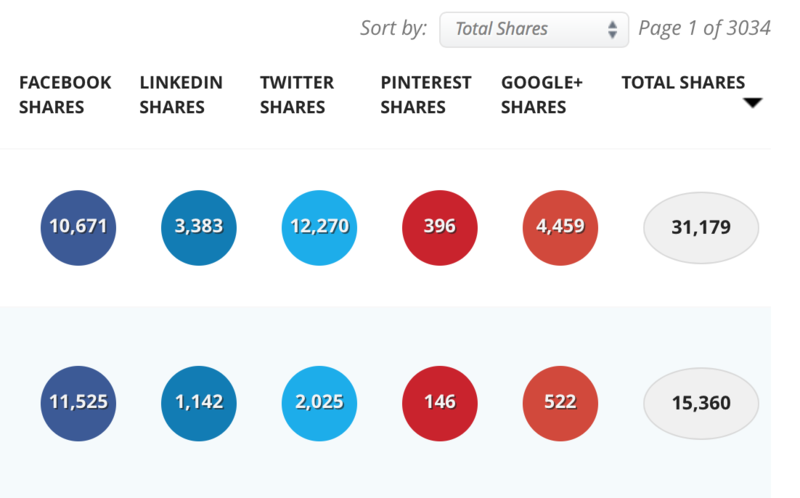 Which guest post got you the most visitors? You want to know which channels are the most valuable to you in terms of traffic and try to get more links from there. For me, being mentioned on Buffer or Kissmetrics gave me much more traffic than when I was mentioned on TheNextWeb. 10. Mobile vs. Desktops – Session duration – I learned this trick from my head of analytics, Meni Lavie. Your site might be open as a background tab in the user’s browser for a long time without any interaction, i.e. being read. You don’t know what the reader is doing while on your site, so the fact that they stayed longer doesn’t necessarily mean they read your content. On the other hand, on mobile devices, you don’t have that downtime, so if someone is spending time on your posts, it means they are reading them. Period. 11. OS X vs. Windows / iOS vs. Android, etc. – No, it’s not a trend thing, it’s a utility metric. Let’s say you are doing a ‘best tools’ roundup, you have a different set of tools for your Apple,Android or Windows loving audience. If you have a majority of OS X users, you’d want to do more posts helping them and providing them with OS X functioning tools. If you have more Android using readers, you’d want to give links to Android apps more often than iOS apps. You get where I’m going with this.